Five teams compete for the Uutisraivaaja Award in the season 2018–2019. The finalists are Comcom, Kansalaiskide, Diversity meter, RARE and Voconaut. The winner or winners of the innovation challenge will be chosen in the fall 2019. Below we introduce the current finalists. About the previous Uutisraivaaja winners and finalists (2010–2017) you can read here. Tuomo Hopia works for Comcom. Photo: Matilda Gronow. Comcom is a new real-time discussion platform for websites such as news sites. The idea is that you can discuss with other people who are on the same website at the same time with you. The team consists of Tuomo Hopia and Niko Lehtovirta. Kansalaiskide team from top left: Jouni Tuomisto and Anna Tuomainen. From bottom left: Tuukka Hastrup, Kaisa Haverinen, Sonja-Maria Ignatius and Tarmo Toikkanen. Photo: Matilda Gronow. Kansalaiskide furthers the open cocreation of knowledge. The project enables the coconstruction of fact-based information in the form of knowledge crystals. Knowledge crystals are web pages that shape information. 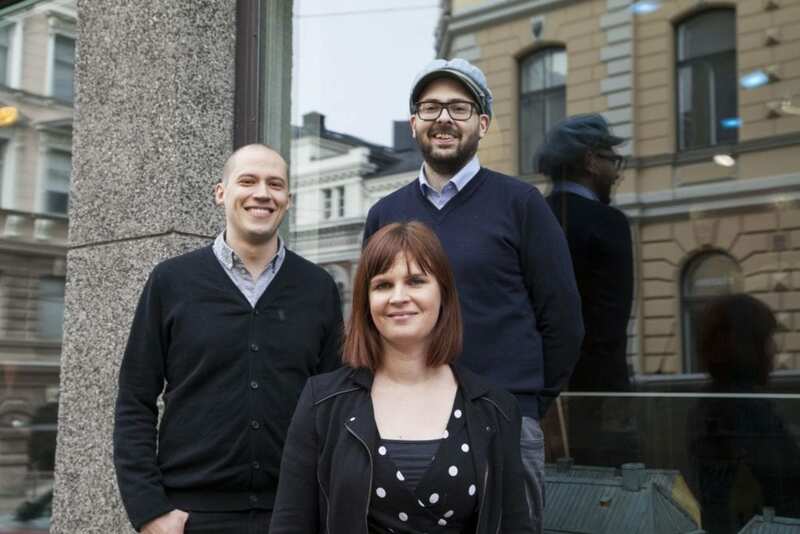 Their collaborative use is piloted with the Carbon-neutral Helsinki 2035 program. 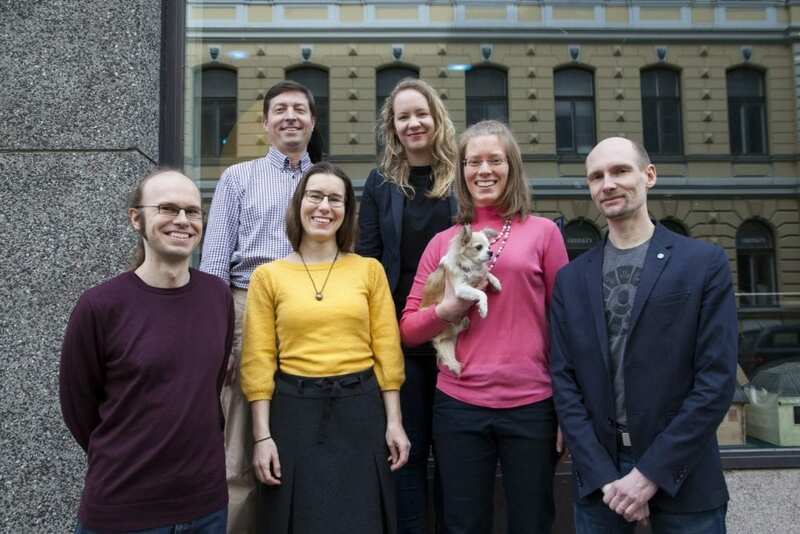 The team includes Jouni Tuomisto, Kaisa Haverinen, Tuukka Hastrup, Anna Tuomainen, Tarmo Toikkanen, Sonja-Maria Ignatius and Raimo Muurinen from the Open Knowledge Finland network. Noora Kettunen works in the project Diversity meter. Photo: Matilda Gronow. Diversity meter (in Finnish: Moniäänisyysmittari) is a new online application based on the analysis of journalistic content. The tool displays whose voices get heard in different public discussions, and thus supports critical attention to diversity in journalism and encourages open dialogue to improve it. The team includes Noora Kettunen, Matleena Ylikoski, Martin Pärtel, Anna Takala, Mikko Hautakangas and Ninni Ahonen from Sopiva, the Association for Conciliatory journalists. RARE from top left: Matias Rogers and Miikka Rekola. In the middle: Atro Lamppu, Orna Ben Lulu and Joona Muistola. From bottom left: Hilma Toivonen, Vilma Rimpelä and Jan Huhtanen. Photo: Matilda Gronow. RARE is a new media for the young by the young. It’s a platform that brings journalistic content to where the youth are, in ways that they are used to consuming media. RARE’s goal is to enhance the transmission of information for generations Y and Z. The team includes Vilma Rimpelä, Orna Ben Lulu, Hilma Toivonen, Matias Rogers, Jan Huhtanen, Atro Lamppu, Miikka Rekola, Joona Muistola and Saara Tuominen. Team Voconaut from left: Vesa Vänskä, Pinja Mustajoki and Tommi Mäki. Photo: Matilda Gronow. Voconaut is a new audio augmented reality solution for the mobile media landscape. Voconaut enables the creation of situationally aware audio essays, stories and deep journalism. 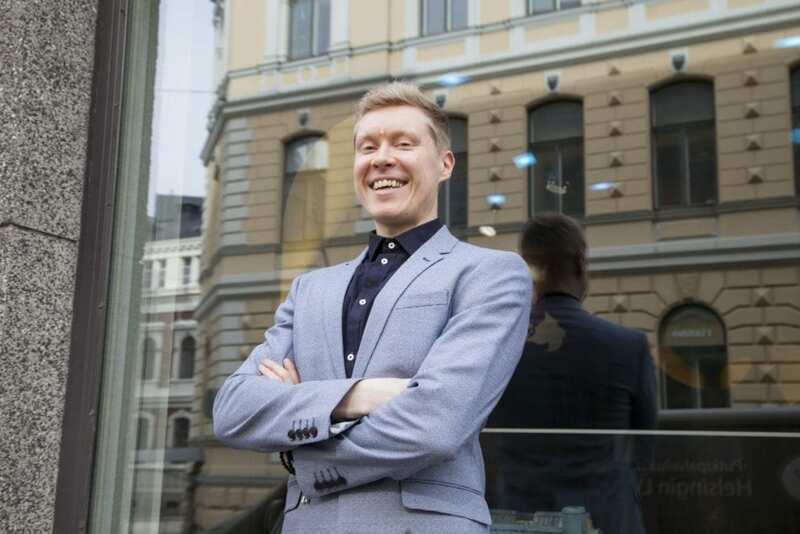 Voconaut’s project is to create an innovative audio content mosaic to Helsinki. The team includes Tommi Mäki, Pinja Mustajoki, Vesa Vänskä and Henri Paltemaa. Winners from 2017 with the judges. 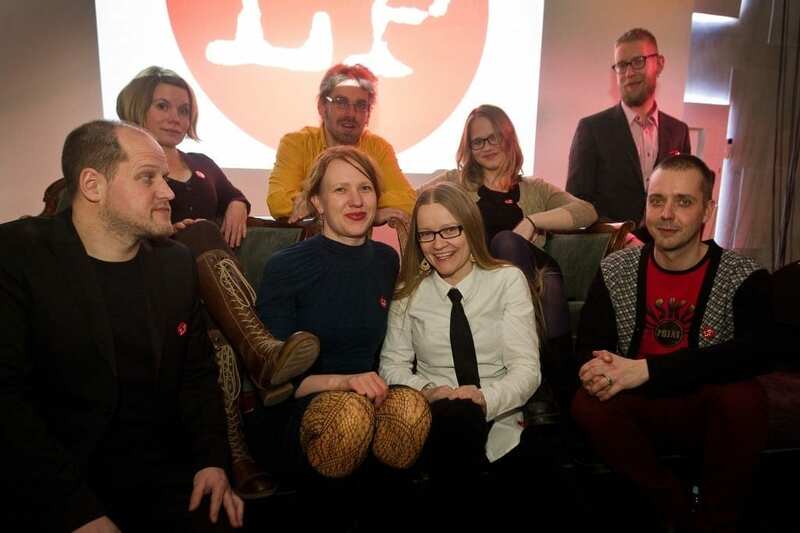 From left: president of the jury Pekka Ala-Pietilä, jury member Jyrki Ali-Yrkkö, Tripster’s Mika Viskström, Panu Pahkamaa and Soile Vauhkonen, Frameright’s Marina Ekroos, Tripster’s Tuulia Kolehmainen, Frameright’s Ilkka Järstä and Jaakko Hyvärinen, Tripster’s Paula Kultanen Ribas, jury member Mikko Koskinen, Tripster’s Siru Valleala and jury member Ulla Koski. In 2017 two winners were awarded in Uutisraivaaja. The 250,000 euros award was shared by Frameright and Tripsteri. Tripsteri app is the first Finnish mobile application providing travel journalism which focuses on high quality and uses virtual technology. The winning team included Tuulia Kolehmainen, Paula Kultanen Ribas, Siru Valleala, Soile Vauhkonen, Panu Pahkamaa and Mika Vikström. Frameright provides a solution to an internet-wide systemic problem in framing photographs. The Uutisraivaaja team included Marina Ekroos, Ilkka Järstä and Jaakko Hyvärinen. Uutisraivaaja winners 2015. From top left: team Kuka’s Tuomas Valtanen, Ville Vaara and Jaakko Nygren. From bottom left: team Lucify’s Juho Ojala and Ville Väänänen, team Kuka’s Iris Sandelin and Mari Vaara. Photo: Ida Pimenoff. In 2015 the Uutisraivaaja Award 250,000 euros was shared by Lucify and Kuka. Kuka is an expert search service that brings journalists and experts together. The original team included Mari Vaara, Iris Sandelin, Tuomas Valtanen, Jaakko Nygren and Ville Vaara. Lucify helps organizations to visualize, understand and communicate important data with interactive data visualizations. The original team included Juho Ojala and Ville Väänänen. Long Play in 2013. From top left: Hanna Nikkanen, Ilkka Karisto, Anu Silfverberg, Ilkka Pernu. From bottom left: Antti Järvi, Reetta Nousiainen, Johanna Vehkoo, Riku Siivonen. In 2013 the digital publication of longform journalism, Long Play, won the Uutisraivaaja Award. The company is known for stories that are longer than magazine articles but shorter than books. The original team included Johanna Vehkoo, Reetta Nousiainen, Hanna Nikkanen, Anu Silfverberg, Riku Siivonen, Ilkka Pernu, Antti Järvi, Ilkka Karisto and Kimmo Hokkanen. Born Local, inventor of hyper-local social media platform Nearhood. Scoopinion in 2011. 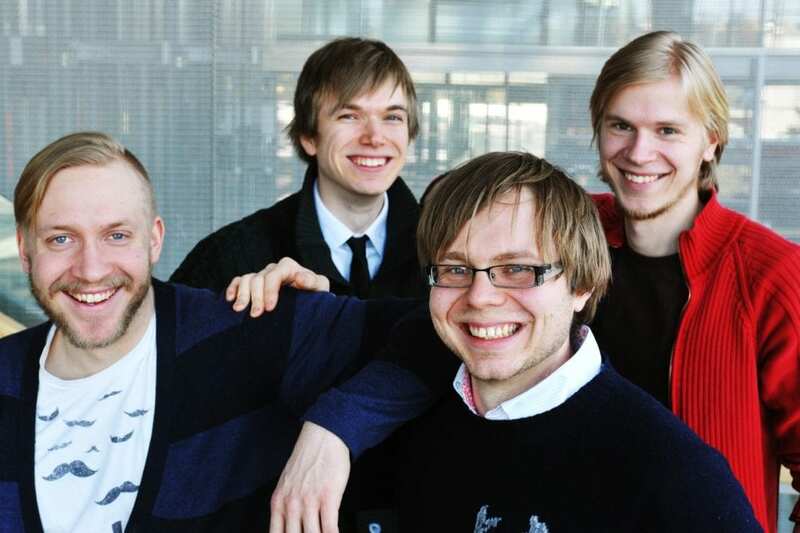 From left: Mikko “Kobra” Koskinen, Juha Leppänen, Johannes Koponen and Ville Sundberg. Scoopinion won the first-ever season of the Uutisraivaaja Media Innovation Challenge. The project was a browser ad-on that recommends quality articles for users. The team included Johannes Koponen, Mikael Koponen, Mikko Koskinen, Juha Leppänen and Ville Sundberg. In the season 2010–2011, eleven teams in total made their way to the finalist phase. 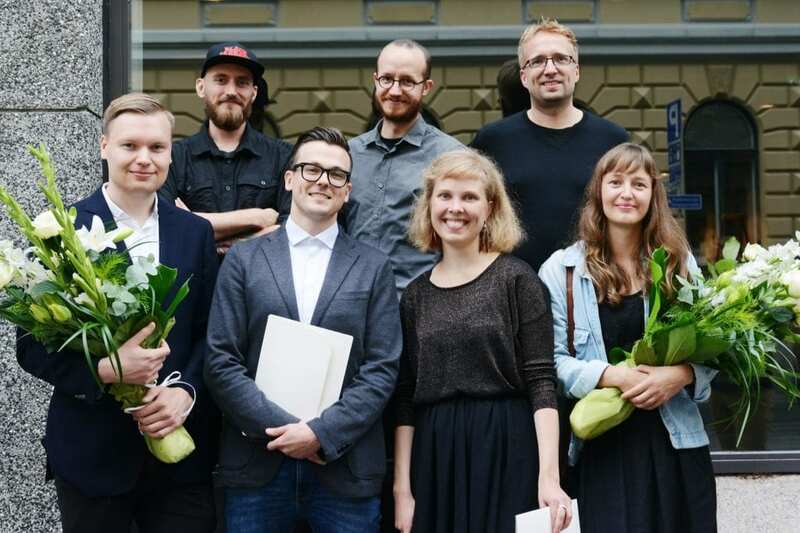 The finalists included Eleet, Naapurisopu, Influence Networks, Collapick, Huuhkaja, Omaradio, Pogo, Knowshop, Pinchett (Murut), and Totuus ja valhe (Faktat oikein). The previous winners and finalists have written about their experienced in the Uutisraivaaja blog.